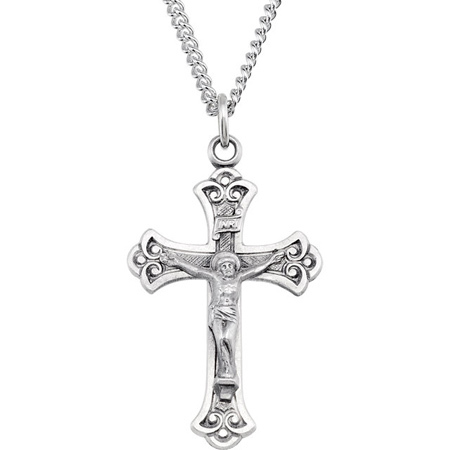 This sterling silver budded crucifix pendant has an antique finish. Crucifix dimensions: 1 1/4in x 7/8in. Item is larger than a quarter. 24in sterling silver curb chain included. Weight: 11.12 grams. I was going to order this cross because it was a good value and it looked like a quality cross. However, I decided to cancel this product and order a ring instead. 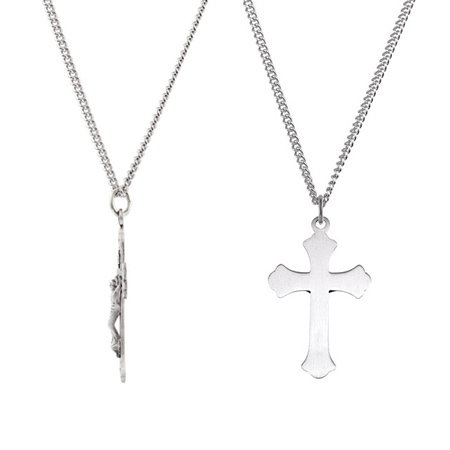 That being said, If I decide to order a cross in the future, I will come back to this one, because I really like the looks and the quality.